A fight for alpha ensues with a rugged Icelandic backdrop in director Baltasar Kormákur’s latest, The Oath. Kormákur, a filmmaker known for action-heavy thrillers, also stars as Finnur, a surgeon with some family troubles. Though his young wife and small daughter seem picture-perfect, Finnur’s 18-year-old daughter from a previous marriage, Anna (Hera Hilmar), is spiraling out of control. An entitled party girl, her drug flirtation blossoms into a full-blown habit, much thanks to her love interest and dealer, Óttar (Gísli Örn Garðarsson). Finnur’s increasingly reckless behavior, all aimed at removing Óttar from Anna’s life, points as much to a need for control as it does misdirected protectiveness. The film’s title refers to the surgeon’s oath never to play god – which, of course, surgeons do daily. It’s an occupational habit, though, that Finnur is bringing into his time outside the office. 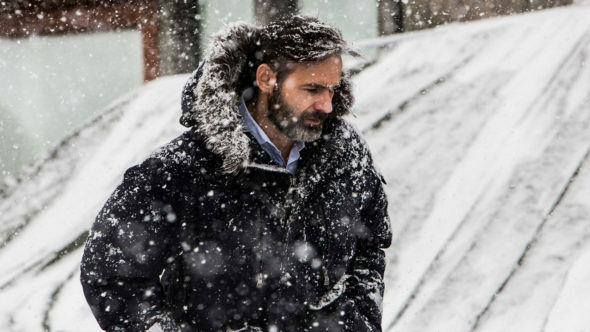 As director, Kormákur works to make both men equally detestable and tender. Óttar is vulgar and brutish, but regardless of the havoc he wreaks or the horror he threatens as Finnur tries harder and harder to separate the lovers, his affection for Anna feels authentic. Likewise, Finnur’s behavior oscillates between imprudent protectiveness and troubling malevolence. Kormákur’s performance is the picture of restraint, his conflict primarily dealt with internally. It robs the film of some excitement but delivers tension and urgency. Though both male leads impress, it’s really Hilmar who leaves a mark. Vulnerable, naïve and headstrong, her Anna’s a perfectly frustrating culmination of post-adolescent volatility. The Oath lacks the slick production values and audience-friendly narrative found primarily in Kormákur’s English-language product (2 Guns, Everest, Contraband), favoring grittier fare and more subdued energy. These are choices that benefit the story, although Kormákur struggles to maintain a tone that suits the tale. Finnur’s behavior at a highly critical point feels nefarious in a way that doesn’t fit Kormákur’s characterization, and his actions are so atrocious that the resolution feels unsatisfyingly easy. The Oath dips into horror territory, not necessarily a bad thing, but the film can’t make its shifting approach feel anything but jarring – as if an entirely different film landed around Act 3, then vanished for the final reel or so.